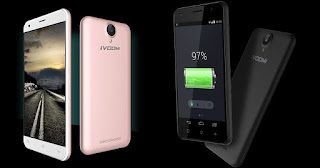 iVOOMi Me 1 features a 5-inch HD IPS display with a 2.5D curved glass on top powered by a 1.2GHz quad-core processor with 1GB of RAM and 8GB, which can be further increased up to 128GB with a microSD card. On Camera, it has a 5MP rear snapper with a LED flash and a 5MP front shooter. iVOOMi Me 1 + has a 5-inch HD Display powered by a 1.2GHz quad-core processor with 2GB of RAM and 16GB of internal storage further up to 128GB with a microSD card. On Camera, it has an 8MP rear snapper with a LED flash and a 5MP front shooter. The iVOOMi Me 1 has been priced at Rs 3,999 comes in comes in a black hue, while the Me 1+ is priced at Rs 4,999. They will be available exclusively on Shopclues starting midnight tonight. The Me 1 for the price better specs.